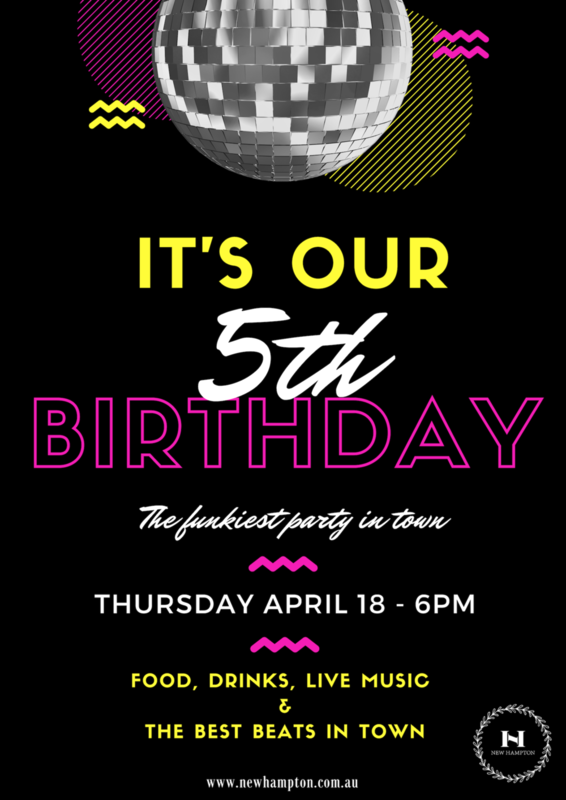 WE ARE TURNING 5YRS OLD! Enjoy LIVE entertainment & complimentary canapes 6pm! Come and celebrate 5 WONDERFUL years of the HAMPTONS!